Information and support for our current and future users. High Performance Computing Center North (HPC2N) is a national center for Scientific and Parallel Computing. We are a collaboration between universities and research institutes who form a competence network for high performance and parallel computing, grid and cloud computing, scientific visualization and virtual reality (VR), as well as effective mass-storage solutions, in Northern Sweden. The primary objective of the center is to raise the national level of competence in HPC and to transfer HPC knowledge and technology to new users in academia and industry. Today, the use of HPC include compute-intensive as well as data- and communication-intensive applications. 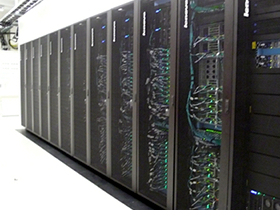 HPC2N is one of six national centers funded by the Swedish National Infrastructure for Computing (SNIC), a metacentre under The Swedish Research Council.